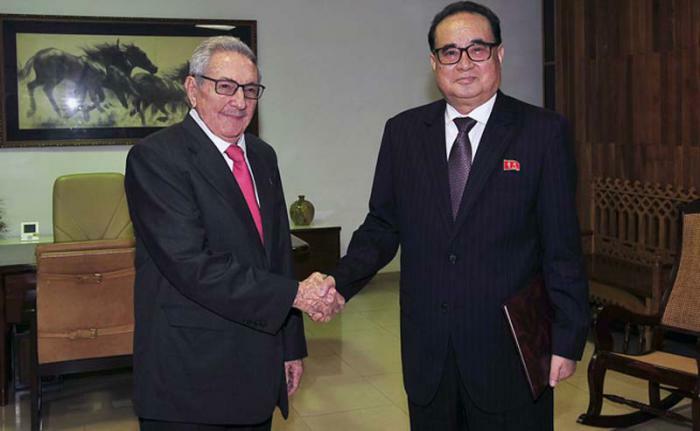 According to Granma, Ri Su Yong’s meeting with Raúl Castro Ruz evidenced “the traditional bonds of friendship and the excellent relations between our peoples, Parties [and Government].” According to Prensa Latina, the interaction expressed “the bonds of friendship and excellent relations” of the 58 year ties between the DPRK and Cuba. Ri Su Yong will be in Cuba until July 9 (Monday) and with members of his travel party will conduct other interactions with senior Cuban Government officials. 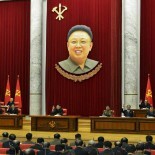 This article was written on 08 Jul 2018, and is filled under Central Committee, Central Party Affairs/Cadres 5th Section, Cuba, diploreps, DPRK Cabinet, DPRK Diplomat Corps, DPRK External Relations, DPRK-Central America Relations, DPRK-Cuba relations, DPRK-Cuba relatons, DPRK-Latin America Rels, Executive Policy Bureau, Five Year Economic Plan and Development Strategy (2016), General Affairs, Guard Command, Information Section, International Affairs Department WPK, International Department, Kim Jong-un, KJI Personal Secretariat, Korean Workers' Party (KWP), KPA External Relations, Ministry of Foreign Affairs, Ministry of the People's Armed Forces (MPAF), North Korean press, Political Bureau, Publication Guidance Bureau, Ri Chol, Ri Su Yong, Secretariat, State Affairs Commission, Supreme People's Assembly.